We would like to introduce Carl to you. He is our new construction communication expert. 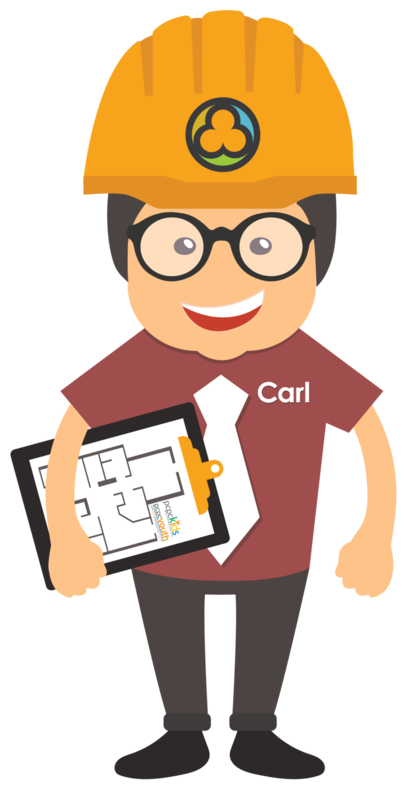 Anytime you see Carl, know there is valuable EXTEND updates just for you! As with any construction project, there are stages and timelines that help us move orderly from beginning to end. Carl has these on his trusted clipboard. But even with great planning, there are also delays and changes that will occur. Carl will do his best to communicate these in advance. This week, the fence was erected to protect us from the demolition and removal of Oak Lawn East. We know curiosity can kill the cat, but please remain safely on the outside of the fence. We will share photos on extend.pcpc.org/updates/ as changes take place. The next stage will be to begin digging…a really big hole for our parking garage. So again, please keep your family and friends at a safe distance during construction. Shuttle service is now available! As we begin construction, we will provide convenient shuttle park & ride service from the garage on Irving Avenue (behind Tom Thumb) to the front doors of the church on Oak Lawn Avenue. It will begin at 7:30 A.M. and run until 1:00 P.M. Parking maps are available online extend.pcpc.org/updates/ and at the Information Desk. Thank you for being a part of the Park Cities Presbyterian Church family. These are exciting times for generations to come!